Having lunch at the bird park as well, why not have lunch with the parrots? it was a fun Saturday afternoon, kids enjoyed the bird shows. Meet and interact with thousands of birds at Asia's largest bird paradise. Discover a collection of over 5,000 colorful birds from 400 species, across over 20.2 hectares of exploratory landscapes, naturalistic environments and giant walk-in aviaries. You'll get to enjoy close-up interactions with the feathered residents at feeding sessions, and be impressed by entertaining antics at daily shows. 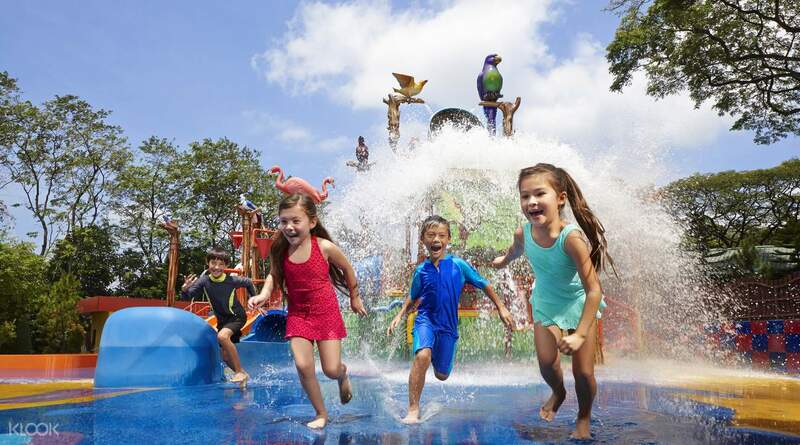 Indulge in a sumptuous Asian buffet lunch in the company of talented parrots, and splash in some water fun at the wet playground. This sanctuary sure makes for an exciting day out for the whole family! 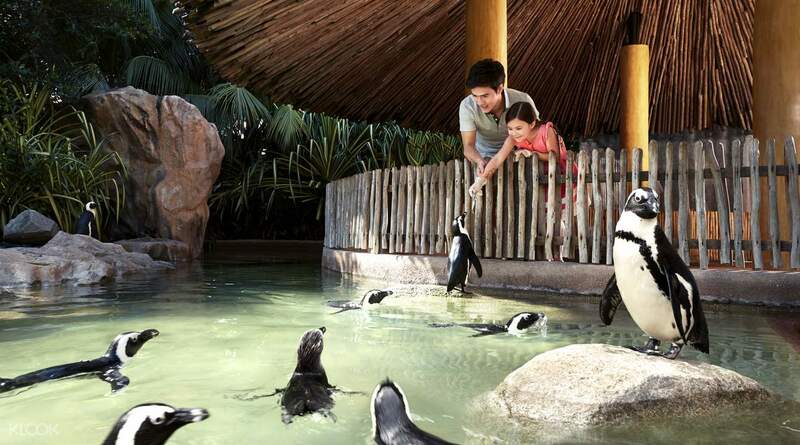 Jurong Bird Park is a must-visit place if you are visiting Singapore for holidays. Booking tickets online through KLOOK is very convenient and makes your travel plans easier, by avoiding the queues in front of the Ticketing Counters. 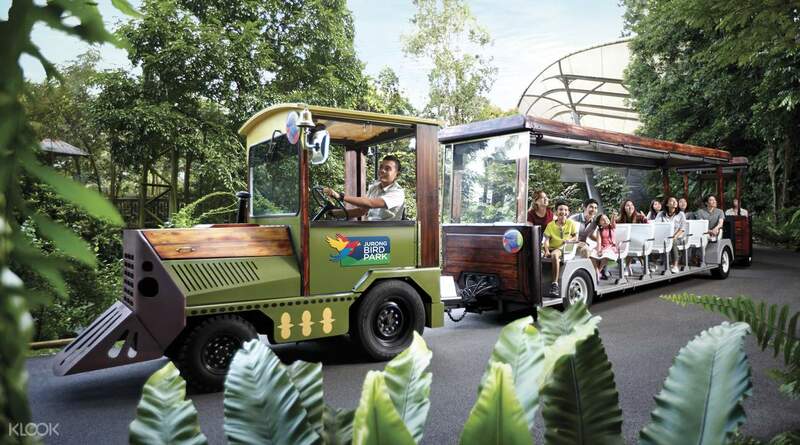 Jurong Bird Park is a must-visit place if you are visiting Singapore for holidays. Booking tickets online through KLOOK is very convenient and makes your travel plans easier, by avoiding the queues in front of the Ticketing Counters. River safari and Sentosa fun pass - had an amazing time! Klook is so easy to use. Purchase before you go and places like the bird park and zoo is self service ticket with barcode, can’t get any easier than that! And the fun we’ve had! It’s a first trip away with my daughter, we’ve so much fun and being able to bond with a teen is just priceless! River safari and Sentosa fun pass - had an amazing time! Klook is so easy to use. Purchase before you go and places like the bird park and zoo is self service ticket with barcode, can’t get any easier than that! And the fun we’ve had! It’s a first trip away with my daughter, we’ve so much fun and being able to bond with a teen is just priceless! Great kids experience at the bird park with the new stop added to the tram ride and the kid waterpark which was very welcoming on this hot day. The kids loved the feeding of the birds with the live worms. and lory loft area to mingle with the birds more while feeding them. Great kids experience at the bird park with the new stop added to the tram ride and the kid waterpark which was very welcoming on this hot day. The kids loved the feeding of the birds with the live worms. and lory loft area to mingle with the birds more while feeding them. Excellent place to learn about birds.. To start thinking about conservation.. A day of outing, well spent.. A bit hot and humid, however one needs to cover slowly. Good place to visit with kids. The largd aviary with waterfalls is an experience in itself.. The birds are really friendly. . Besides this is also an excellent place for the ones interested in bird photography. The flamingoes, pelicans, athe visiting storks and King fishers are a treat to watch. Must visit when at Singapore on family trips. Excellent place to learn about birds.. To start thinking about conservation.. A day of outing, well spent.. A bit hot and humid, however one needs to cover slowly. Good place to visit with kids. The largd aviary with waterfalls is an experience in itself.. The birds are really friendly. . Besides this is also an excellent place for the ones interested in bird photography. The flamingoes, pelicans, athe visiting storks and King fishers are a treat to watch. Must visit when at Singapore on family trips. For bird lovers and friends, this place is a must visit. The park is very well maintained and there is a lot of ground to cover, but don't miss the bird show times and the feeding times. Also bring your own refillable water bottle as there are many drinking fountains within the park. For bird lovers and friends, this place is a must visit. The park is very well maintained and there is a lot of ground to cover, but don't miss the bird show times and the feeding times. Also bring your own refillable water bottle as there are many drinking fountains within the park. 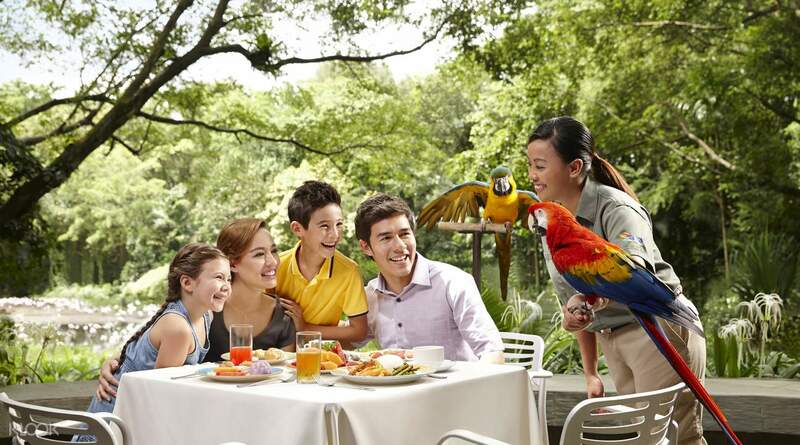 Jurong Bird park is an amazing place for kids to understand various species of birds from across the globe. their facilities are very bird friendly. the sessions with birds and lory bird feeding of honey is a great activity. Penguins, Pelicans, Toucans, Peacock, Eagles, Vultures, name it and they have it all. they are doing great work to conserve these species. All the best. 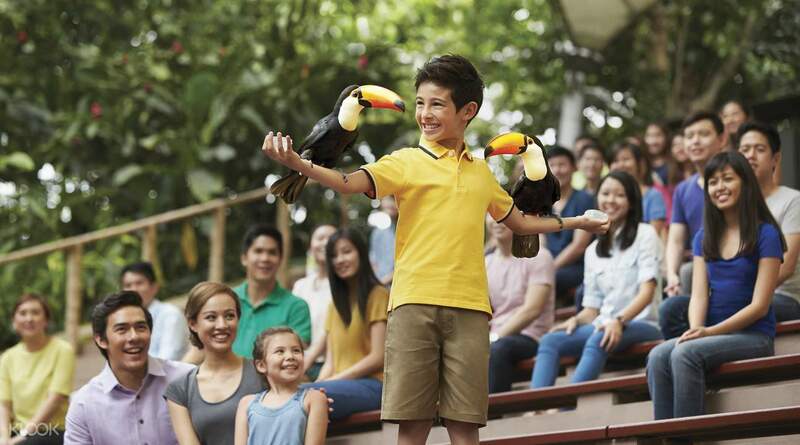 Jurong Bird park is an amazing place for kids to understand various species of birds from across the globe. their facilities are very bird friendly. the sessions with birds and lory bird feeding of honey is a great activity. Penguins, Pelicans, Toucans, Peacock, Eagles, Vultures, name it and they have it all. they are doing great work to conserve these species. All the best. you need to print the ticket from kiosk, which was very quick. tram ride was very nice. lorry bird feeding was too good. one thing to note is that the feeding should be done at 10am or after lunch. my friends went at 11:30 , by then the birds were already full and not coming to eat. overall experience is very good. you need to print the ticket from kiosk, which was very quick. tram ride was very nice. lorry bird feeding was too good. one thing to note is that the feeding should be done at 10am or after lunch. my friends went at 11:30 , by then the birds were already full and not coming to eat. overall experience is very good. Good to spend 2-3 hours. There are lots of birds and I think over time they have become friendly with people. So you get a up and close view of the birds specially the parrots. Make sure to attend both the shows. Good to spend 2-3 hours. There are lots of birds and I think over time they have become friendly with people. So you get a up and close view of the birds specially the parrots. Make sure to attend both the shows. A: Unlike third party platforms who may hold fraudulent tickets, Klook is an authorized reseller of Jurong Bird Park. All tickets sold by Klook are genuine and will be accepted at the admission gate.